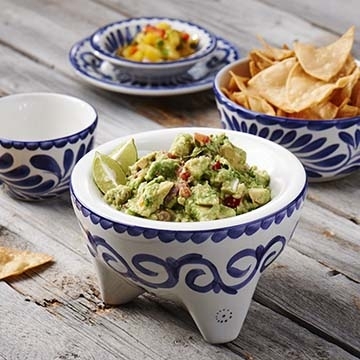 In keeping with the spirit of both traditional and modern Mexican cuisine, the Puebla collection from Steelite combines hand painted charm with sophistication and style. Skilled Mexican artisans, from the country’s largest dinnerware manufacturer, bring this pattern to life, giving it authentic flavor and form. Available in dark blue, Puebla is ready for casual and more upscale environments. Durable. Dependable. Affordable!